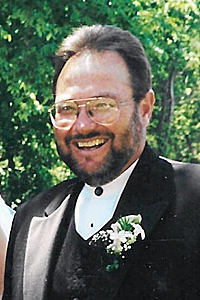 James Glenn Fortune, 73, of Webster City passed away peacefully on Friday, January 25, 2019, at UnityPoint Health Hospital in Fort Dodge, Iowa. A Celebration of Life will be held on Saturday, February 2nd, 2019 from 4:00 to 7:00 p.m. at Webster City Links in Webster City, IA. This spring there will be a public gathering with his friends and family on the Webster City Links driving range to release his cremains. James “Jim” Glenn Fortune was born on July 2, 1945 to Glenn and Alice Fortune. He graduated from Webster City Lincoln High School in 1963. He then went to work at the Webster City Honda Shop for his brother Leonard, before he was drafted in 1965. Jim was the company clerk in the US Army and was stationed in Germany and France until 1967. Upon arriving back in the States he went back to work at the Honda shop and then on to manage Leonards’ new Honda shop in Fort Dodge for the next 10 years. In 1977 he pursued a career in real estate and went to work as a sales agent for Runkle Realty. In 1968, Jim was united in marriage to Rebecca “Becky” King. They lived in Webster City and opened their real estate office, Jim Fortune Realty, in 1981. They were married for 23 years. Jim met Mary Christensen in 1991. They were married in July of 2000. They also made their home in Webster City where Jim went on to continue his real estate career until retiring and closing his office December 31, 2018. Jim was very competitive with everything he pursued. He spent his teens and 20’s on his passion of enduro motorcycling. Jim raced all-across the country and throughout Europe and at one point in his career, he was #1 in the USA. When he was ready to retire his body from competitive racing in the 80’S he went onto golfing where he spent most of his spare hours practicing on the driving range and rounds on the links with his buddies. He was always about training and in pursuit of perfection of his game. He enjoyed numerous winter golf trips. He loved fishing and hunting. In the 90’s Jim also got serious about fishing again, purchased a boat and would travel to Canada with buddies at least once a year. Jim also was the ultimate Iowa Hawkeye fan. He and Mary spent a decade traveling to football games and tailgating with friends. He took great pleasure in planning, hosting and feeding friends at all tailgates He also had a love for gardening, (food) and became master of the tomato plant. It gave him so much joy to go out every morning to harvest his tomatoes and to deliver to friends. Jim is survived by his wife Mary of Webster City, his children, Heather Fortune Vestweber (Jason), of Cedar Rapids and Jamie Fortune, of Webster City, his stepson, Peter Odegaard of Boulder, CO, grandchildren, Maddie and Cooper Vestweber and Ashlynn Fortune, his brother, Leonard (Sharon) Fortune of North Bend, OR, his niece, Beth Sylvester and his nephew David Fortune. Jim was preceded in death by his parents, a sister in infancy and his niece. Jim was a lover of animals and especially his pets so In lieu of flowers, the family requests memorials be directed to Almost Home – the Humane Society of North Central Iowa in Fort Dodge (www.almosthomeiowa.org).